With Christmas just around the corner, it doesn't have to be expensive or difficult to find a unique little something for that special someone. To help you find a gift, here is PTBOCanada's 12 Days of Christmas - 12 Local Gifts for $20 and under. 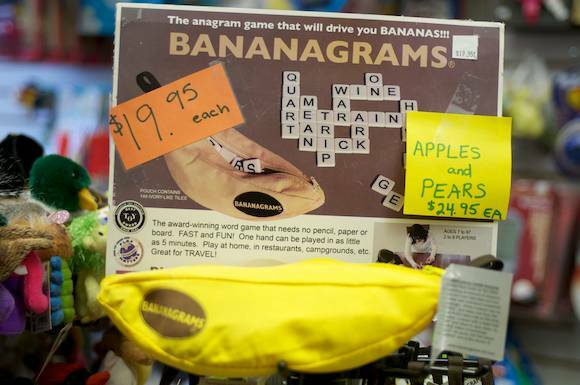 Today's gift is the award winning game Bananagrams, which is a cross between Scrabble and a crossword puzzle. You can find it at the The Toy Shop located at 176 Hunter Street West for $19.95, and it is good for all ages.